The Buck Gardner Canada Hammer II Performance Series call is the easiest operating short reed Canada Goose Call ever made. 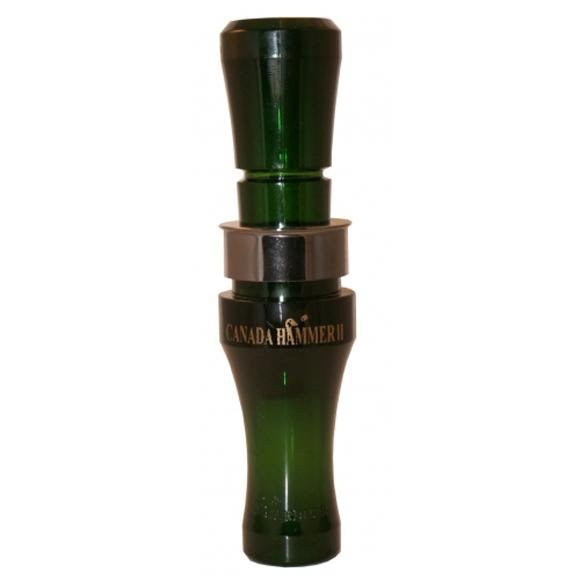 The Canada Hammer comes in a mallard green that will blend just right with the fields and water. From the loudest hail calls to the softest clucks and moans, this call will do it all with ease. The Buck Gardner Canada Hammer II Performance Series call is the easiest operating short reed Canada Goose Call ever made. The Canada Hammer comes in a mallard green that will blend just right with the fields and water. From the loudest hail calls to the softest clucks and moans, this call will do it all with ease. Other features include double O-rings that form an air tight seal and a hand shaved reed.